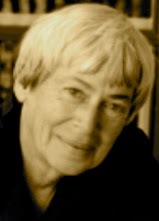 A Year of Being Here: Ursula Le Guin: "Initiation Song from the Finders Lodge"
Ursula Le Guin: "Initiation Song from the Finders Lodge"
"Initiation Song from the Finders Lodge" by Ursula Le Guin, from Always Coming Home. © University of California Press, 1985. Curator's note: In Le Guin's novel Kesh elders sing this song to initiates who have chosen to become the people's emissaries to "the outside world." 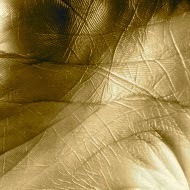 Photography credit: "Close-up of Person's Palm," by Casarsa (originally black and white).